Description: Ginger is a perennial herb that grows to about 3 - 4 feet high (approximately 1 meter). It has a characteristic thick spreading tuberous rhizome. Common Uses: Ginger Essential Oil is believed by aromatherapists to be applicable for colds and flu, nausea (motion sickness, morning sickness), rheumatism, coughs and circulation issues. It also has warming properties that help to relieve muscular cramps, spasms, aches and ease stiffness in joints. 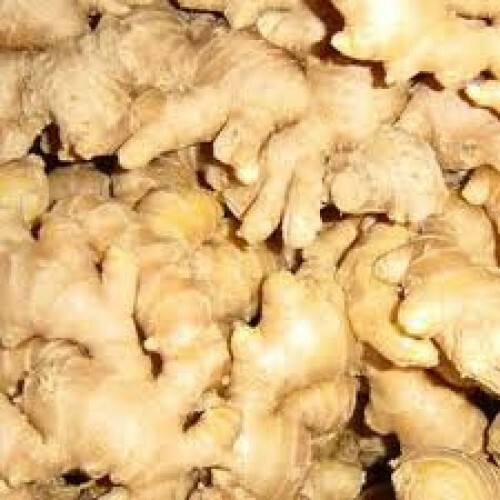 Ginger is also viewed as an aphrodisiac and is believed to ease anxiety, renew vitality and revitalize self-confidence. Aromatic Scent: Ginger Essential Oil has a warm, spicy, woody scent with a hint of lemon and pepper. Customers will find it very similar to the powdered spice.